Below are some of our solar street lighting projects. These projects feature different style fixtures for illuminating streets, roadways, highways, and pathways. Our systems are sized for a minimum of five days autonomy and require no connection to the electric grid; however, grid backup systems are also available. 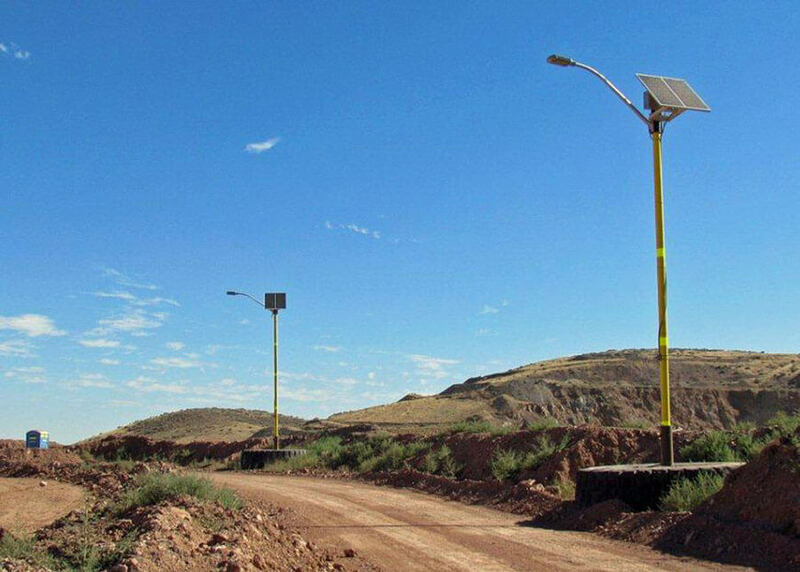 As demonstrated in thousands of existing projects around the world, our proven solar street light systems feature rugged commercial-grade construction combined with unsurpassed quality, performance, reliability and the value of 25+ year system life expectancy - all backed by the best warranty in the business. Click on any image to learn more about the project. An industrial mining company embedded our pole mounted solar street lighting systems inside a giant tire filled with concrete as the means to create a free-standing, completely portable industrial lighting system. 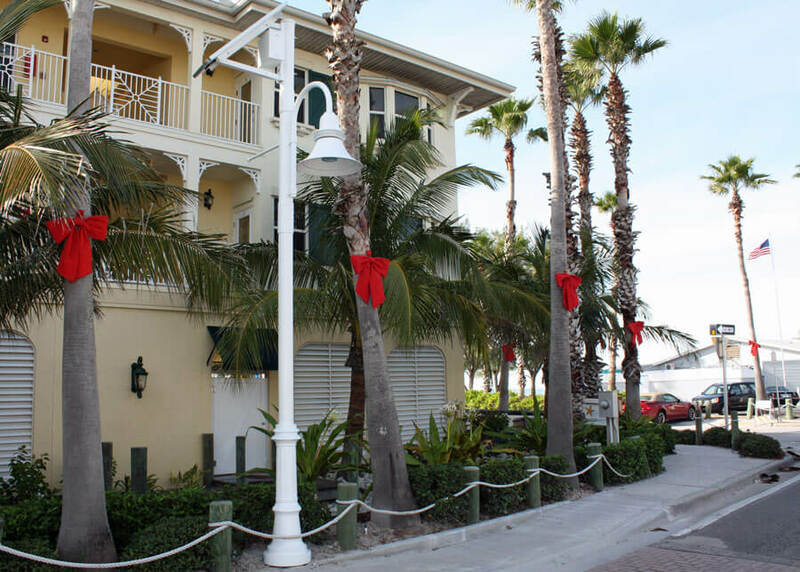 The City of Bradenton Beach uses turtle friendly decorative solar LED lights to light the city's main beachfront thoroughfares to avoid the cost of installing conventional lighting. 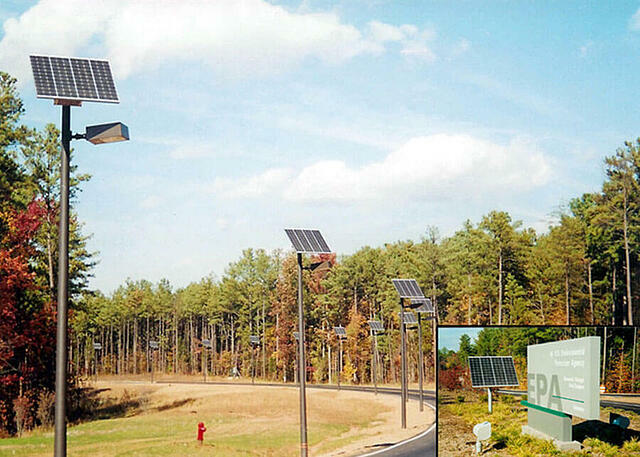 The US EPA research facility in Raleigh, NC uses our solar street lights on the entrance road leading into the facility. The decision was to save by going solar with lower installation and zero utility costs. 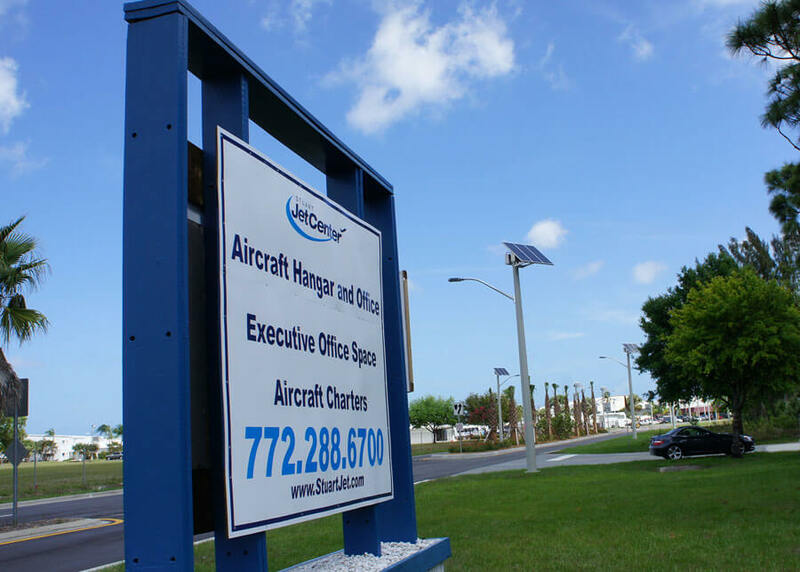 The high performance genesis fixture is used to light the entrance road to the Martin County Airport facility. These lights provide security to travelers and facility operators. 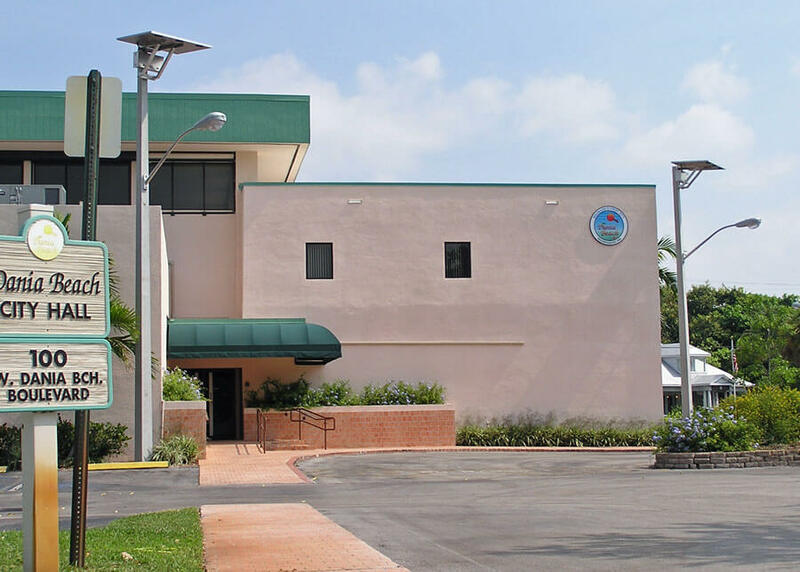 The City of Dania Beach uses our solar street lighting systems to improve security in neighborhoods and lower their reliance on local utility power while also being hurricane rated for future needs. 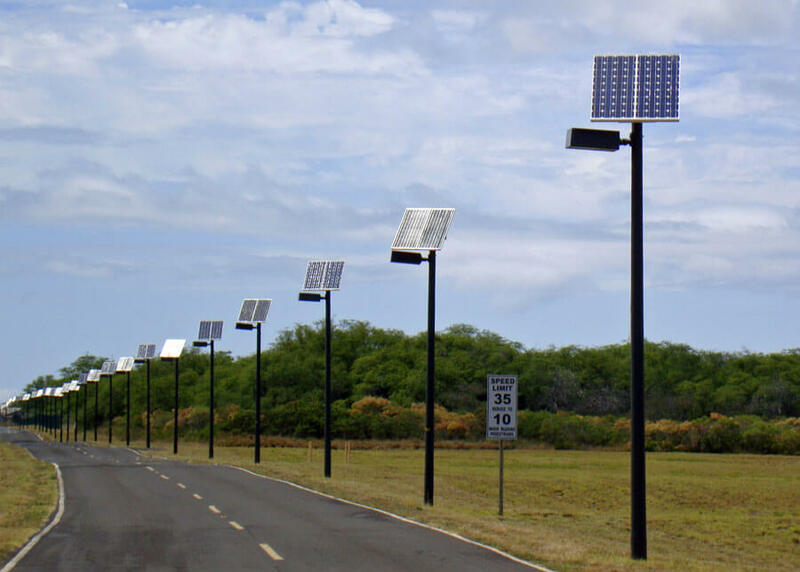 The Pacific Missile Range Facility uses our solar shoebox lighting systems to light the roads around the facility for increased security and visibility at night while saving on installation labor and utility costs.